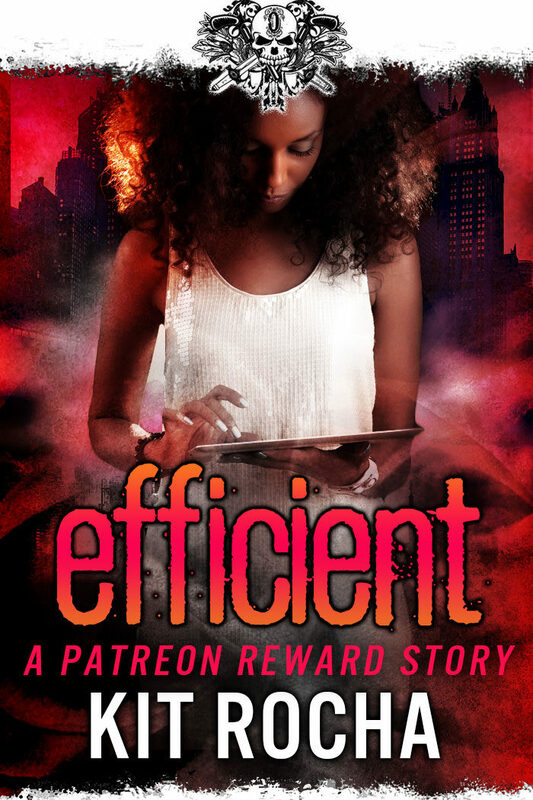 Efficient is a short story that was originally available through Kit Rocha's Patreon page where you can sponsor the author and read a short story every month. After six months these stories become available on Kit Rocha's website so you can now read this one for free. These stories aren't meant to be standalone, they're written to give fans of the series a chance to catch up with favourite characters and just give us little glimpses into what's happening in this world now that the main series has finished. Jim Jernigan ran Sector Eight like a well oiled machine, everything was all about maximising production and there was no room for leisure activities. Now that the sectors are more open this is becoming a problem as Sector Eight residents are starting to realise all of the possibilities that are out there and enterprising individuals are trying to take advantage of their search for more. 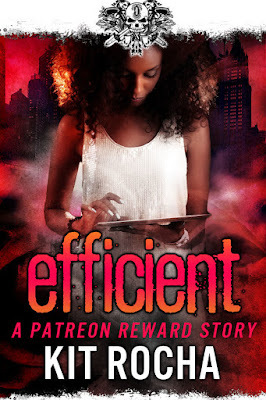 Mia and Ford have been running the sector for months now and Mia has decided it's about time they loosen things up a little. She has big plans, not just for the sector but also for her relationship.